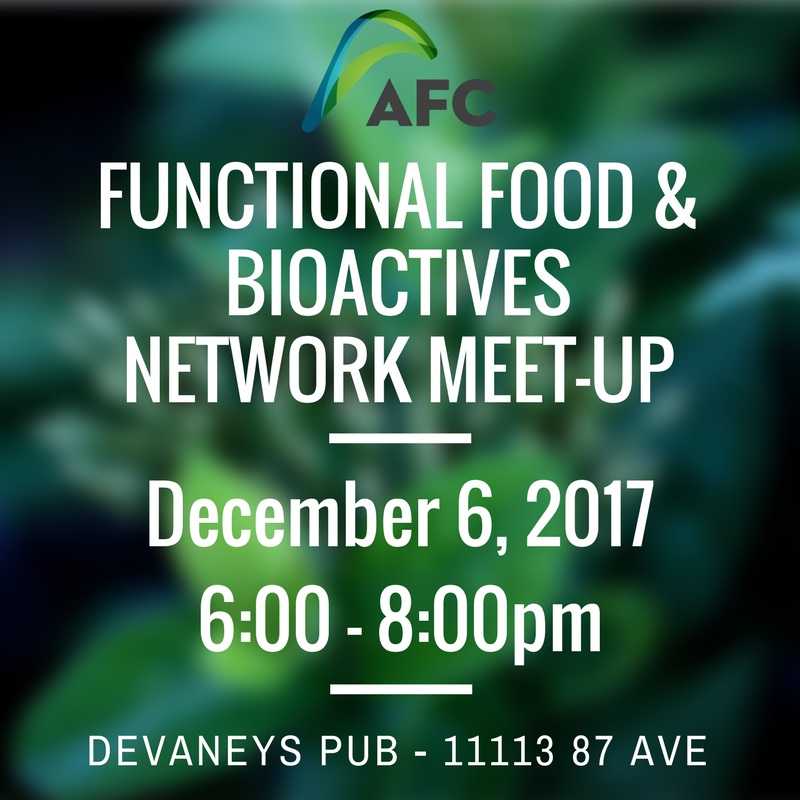 Branko will begin hosting monthly meetups for everyone who has an interest in the functional foods, natural health products, and bioactive sector. They are looking for industry, producers, researchers, student, investors, government and the public at large to join is and learn about the industry. Come join us! We are attending the Institute of Food Technologist Convention (IFT16) this year and we want YOU to make the most of it. We are hosting the pre-convention bunch to introduce you to BIO, meet the staff who will be attending and help us understand your companies needs. We want to make the most out of the convention and bring back relevant information for Alberta. By attending this session and letting us know what you want us to watch for, we can better aim our information gathering time to benefit the Alberta agriculture & food industry. This is the only annual event that brings together the brightest minds and the most respected food professionals from around the world — in industry, government, and academia — for knowledge exchange, networking, and problem solving. From trendsetters in product development to senior-level executives from the world’s top food companies to department heads from leading universities, you’ll find the people you want to meet at IFT16. We will also host a Key Findings & Trends session when we return and follow up with those who attend this session. About IFT - here is a video overview of last year! We are attending the BIO International Convention this year and we want YOU to make the most of it. Who should attend? Companies in agriculture, food, biomanufacturing, genomics and biofuels. Register early as seats are limited! There’s no better place to connect with biotech’s top people and most innovative technologies than at BIO 2016. The ideas shared here go beyond professional development. Experience powerful business partnering, benefit from invaluable education sessions and network with 15,000+ of the industry’s brightest. Join the global biotech community in San Francisco and see how the everyday becomes extraordinary at BIO 2016. Learn more: convention.bio.org. Join us and expand your network on January 29, 2016! Networking Nites are opportunities to grow your network, meet new people and have a good time. Each month we connect with a different group of people or organization to help you expand your horizons and learn whats going on in the city. Keep your eyes open for the next Networking Nite in Feb! CAFA and AFC welcomes Emerson Csorba from Gen Y Inc to talk about Millennials! Our summer food truck event was such a hit, that Meat Street Pies is coming back! Join us Friday September 18, 2015 for lunch! Meat Street Pies will have their truck parked on Ellwood Drive SW! Join us July 24th, 2015 at the Taste of Edmonton in Churchill square. Networking Nite's are a time and place where you can get together with friends, colleagues and new 'soon to be friends' and talk about what is happening in Alberta when it comes to food and Agriculture. This month we will be raffling off festival food tickets to one lucky attendee. Be there by 5:00 pm to be entered. Taste of Edmonton is always a wonderful time to explore what the Edmonton food scene has to offer! Don't miss out and bring a friend. To RSVP email Melissa or visit our Facebook event! With new projects, comes new ideas! The following projects are looking for dedicated individuals to engage is the process. Each project is at a different stage, but we are using a Collective Impact model for all of our projects. Please contact info@agfoodcouncil.com if you are interested in learning more information. VISION - The FFB Network’s primary directive is to play a pivotal role in cultivating Alberta’s value added products, functional food and bioactives sector by facilitating the development of novel, commercially viable technologies. In collaboration with key stakeholders, the Agriculture and Food Council of Alberta will carry out a review of various engagement models to identify promising practices, adapt and pilot an approach within five Alberta communities to create a new model for women to be more successful in participating in local food economies, increasing leadership roles of women farmers to fully participate in the public policy process. Read the proposed outline for the project here.